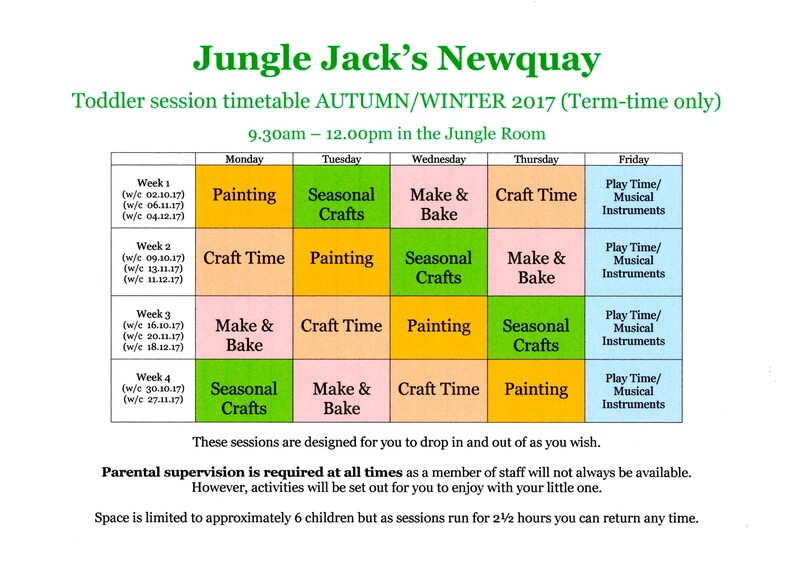 New this year – we have a dedicated member of staff in the Jungle Room to help with our activities (with the exception of Fridays when the toys and instruments will be set out for you to play together with your child). Here’s the timetable… Every weekday morning, 9.30am – 12pm, term-time only. Today is Make & Bake and Rachel has mini pizza’s all ready to be made so pop in before 12pm if you and little’un fancy a go at that.